Calling all runners..... 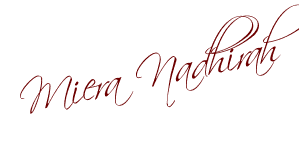 I have news for you.... The Sweetest Fun Run is back! It's gonna be much more fun then ever... and so you really do not want to miss out on this !!!! 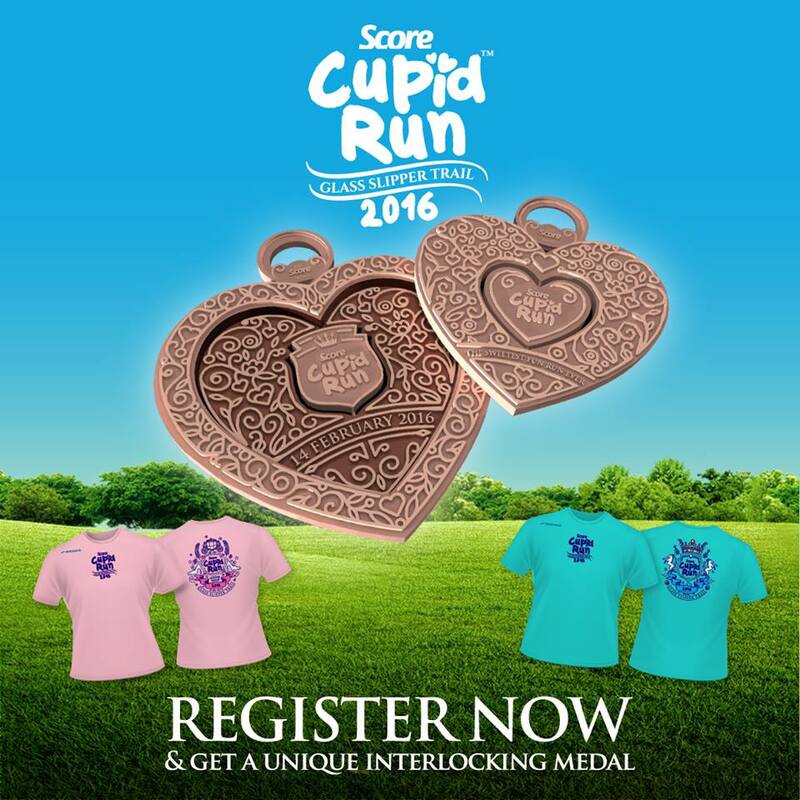 SCORE Cupid Run aims to encourage more people to take up running - professional runner, running enthusiast, or fun run fans alike. By infusing endearing fairy tales themes, the run provides an exciting, recreational platform for a convenient and great cardiovascular exercise. Take a walk, or in the case, run - as you step into all 4 pit stops the Glass Slipper has to offer. Experience humble beginning at The Cinder, transform into a beautiful princess at The Magical Gifts, begin your fairy tale journey on the enchanted carriage at The Pumpkin Ride, and have a wonderful time dancing with your Prince Charming at The Ball. 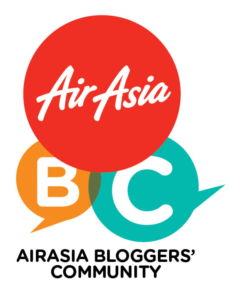 Where: Kepong Metropolitan Park, Jalan Lingkaran Tengah 2, 52100 Kuala Lumpur. Who Can Join: Everyone! Participants below 12 years of age can join for free!!! Everyone who register for this will get 1 lovely Brooks Equilibrium running t-shirt (OMG, I think it is soooo pretty), 1 running bib, 1 goodie bag, and 1 interlocking heart finisher medal. 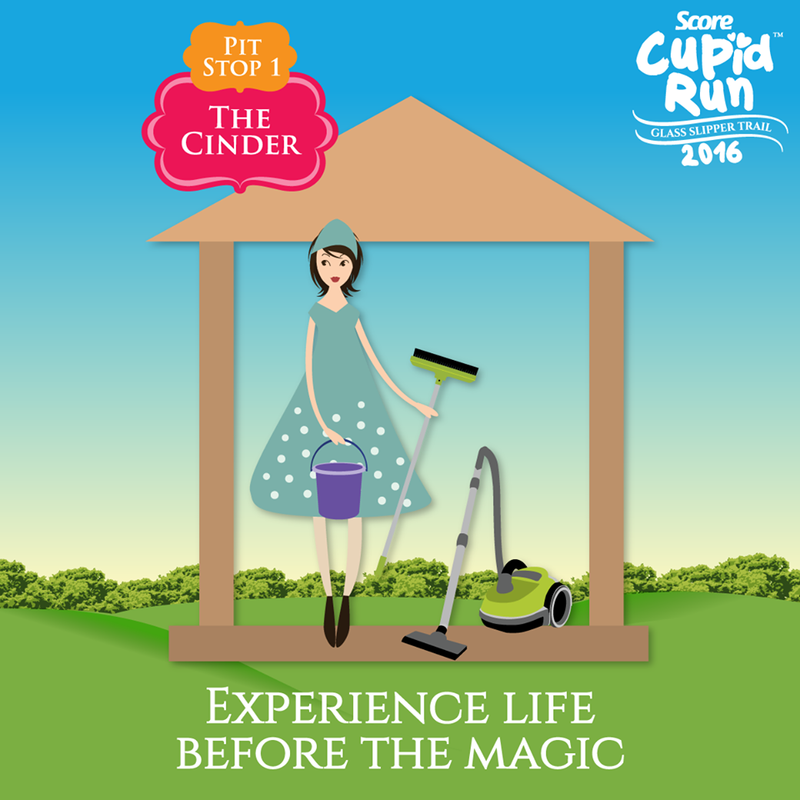 Pit Stop 1: The Cinder: Experience life before the magic. The 4km fairytale-themed Glass Slipper Running Trail will have 4 pit stops around the lovely and scenic Kepong Metropolitan Park, bringing you a wonderful experience of enchantment and magic amidst the lush greenery and beautiful lake. 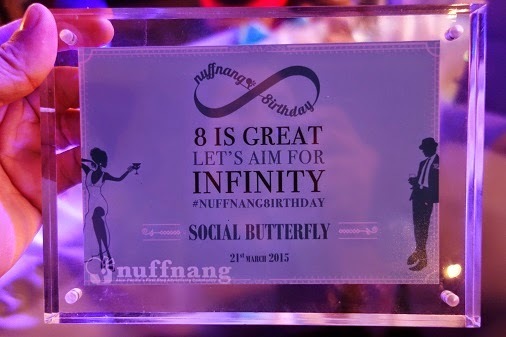 Activities such as Fairy Godmother granting wishes and dancing will be held too! 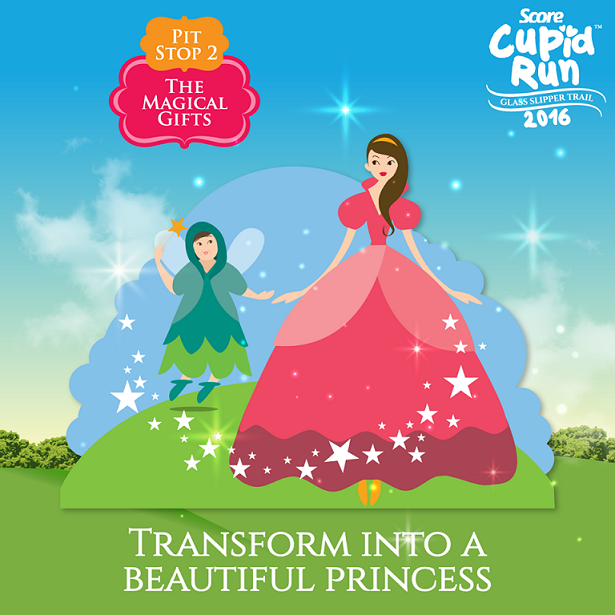 Pit Stop 2: The Magical Gifts: Transform into a beautiful princess. 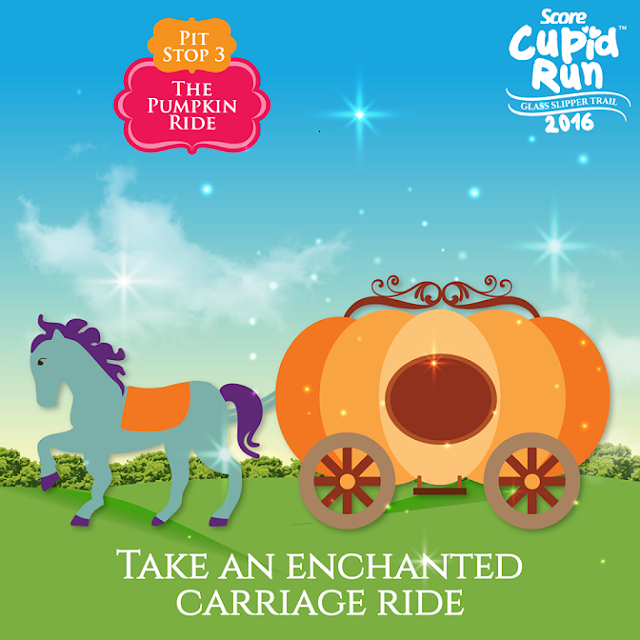 Pit Stop 3: The Pumpkin Ride: Begin your fairytale journey on an enchanted pumpkin carriage. 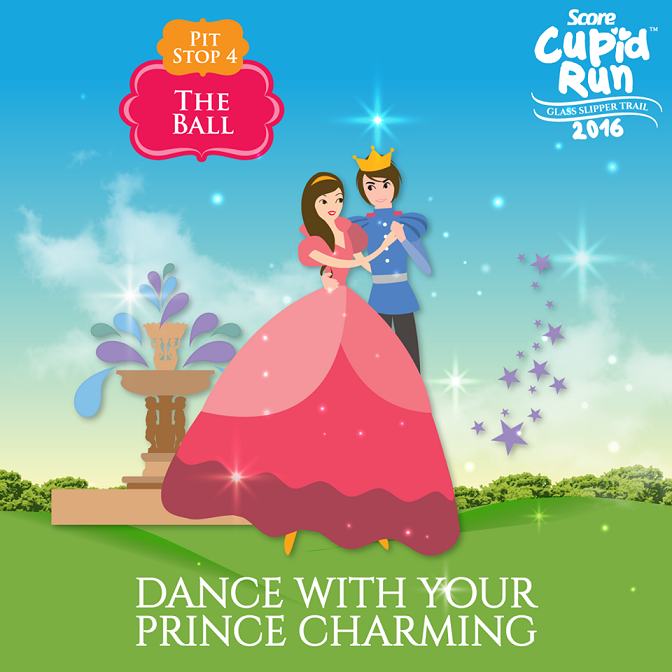 Pit Stop 4: The Ball: Have a wonderful time dancing with your prince charming. So there you have it... 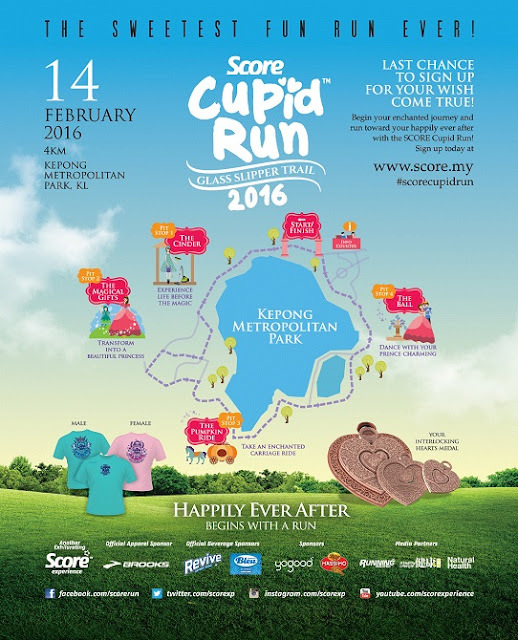 It does not matter if you are a professional runner, a running enthusiast, or there just to enjoy the fun run, do bring your friends, family and even children to join this SCORE Cupid Run 2016!!! Wonderful cupid run.. 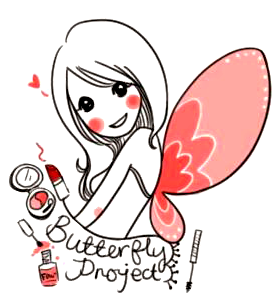 Cute concept! very interesting ! 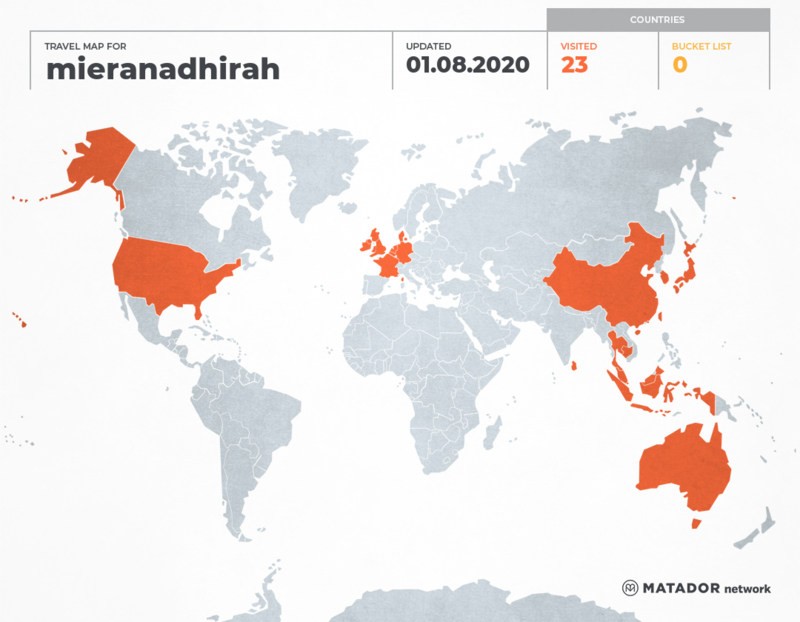 but too far, i live in Penang ! hope they can do in Penang too !! 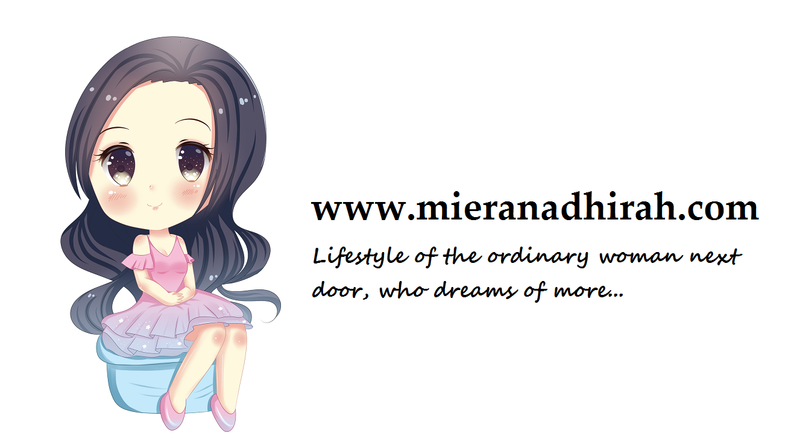 are you going for this? been receiving numerous mails on this, and i was still blur about it until you explained it here.. haha, who do i run with? my wife is super in active. yay i will be joining with my friend. how bout u? Gonna be a fun activity for couples this coming Valentines Day! woah so fairy tale la...very nice running theme..